LiveLoveDIY: Painting Trim & Walls: What You Need To Know! 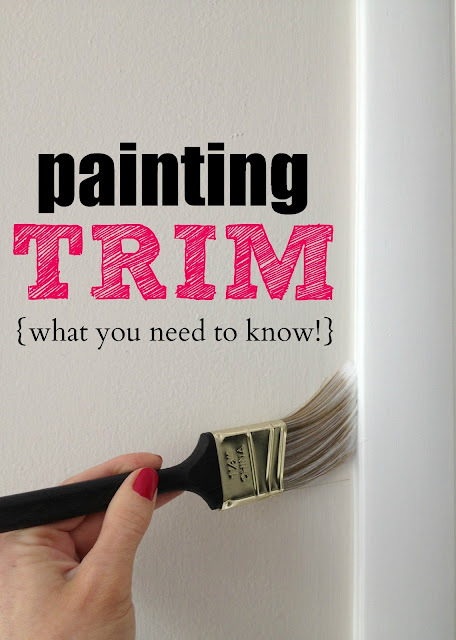 Painting Trim & Walls: What You Need To Know! After showing how we've updated our house by painting the trim, one of the most frequently asked questions I get is about paint! I finally decided it was best to put all of this information in one handy place to refer to if needed. I don't consider myself an expert, but after painting an entire house (almost! ), I've certainly learned a thing or two along the way. Most questions I get about paint have to do with FEAR: fear of messing up, fear of wasting money, fear of the unknown! Well, I have good news and bad news. Bad news first: Your probably going to ruin something along the way. I've totally messed up at least 3 pieces of furniture, and I have 2 rooms that I've painted multiple times because the first attempts were a big failure. Now the good news: 99% of the things you paint will turn out to be AWESOME. You'll learn along the way, and your work will improve with every attempt. Plus, if you even take 10-30 minutes reading about some painting basics, the less likely you will be to ruin that 1% of your projects. #1. WHY should I paint? Painting is time consuming, but it is one of the cheapest things you can do to update your home! This post from earlier this year really helps demonstrate what a big impact paint can make. A great example is our master bathroom. The only thing I used to update this room was paint! and also our guest bathroom. 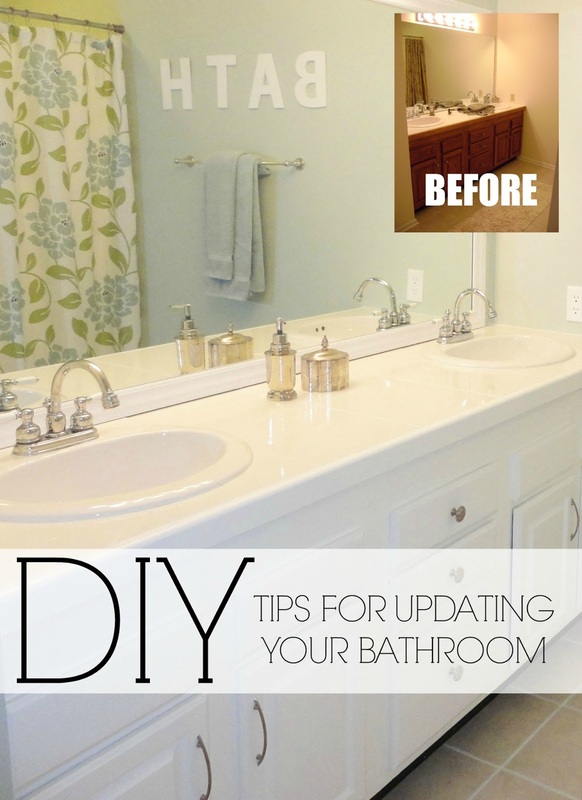 You've gotta see how outdated this bathroom was before! #2. HOW do I paint my trim? It's a lot easier than you think. You can check out post that explains the basic techniques for painting trim and walls. The best thing to do is to just get started and trust that it will make a huge difference in the overall look and feel of your home. 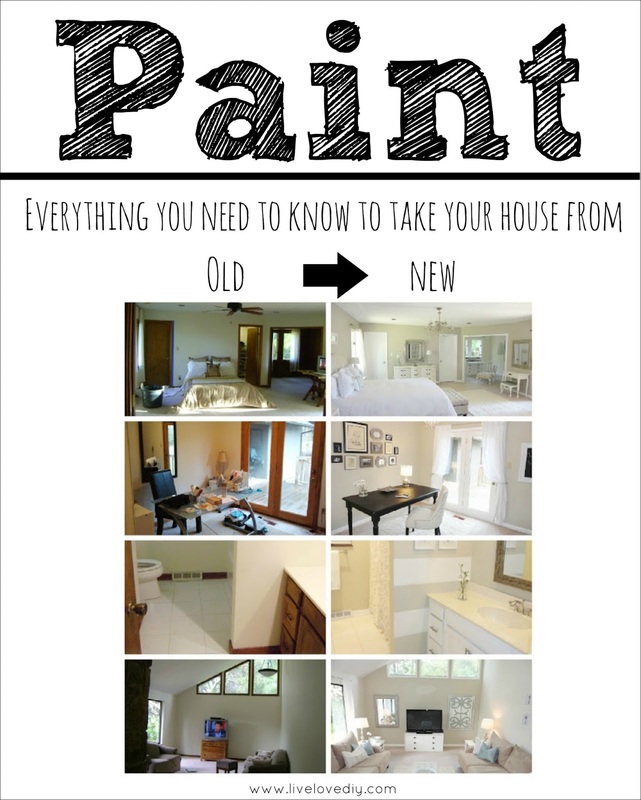 Paint can completely transform a house from old to new. #3. WHAT brand do I choose? For my trim paint, I used Behr Premium in Ultra White (semi gloss finish) in the entire house. I have no idea how well other brands of paint work for trim, as Behr is the only brand I've ever used on our trim. The reason I chose it is because it was one of the only affordable paint and primers I cold find back when we started, coming in at only $35 a gallon. We had an entire house worth of trim, so I had to be budget conscious. However, I couldn't be more pleased, and I'll sing its praises from the rooftop, as the results were flawless and still hold up years later. So, in my experience, you get a lot for your money with this paint. As for the paint I use on our walls, I could care less. I don't get too hung up on the brand of paint I use. I've used so many different brands on our walls: Behr, Valspar, Glidden, Benjamin Moore, Sherwin Williams, and countless others. BM & SW tend to have better coverage, but are more expensive. You'll save a little time when painting, but you'll pay $50 a gallon. Behr, Valspar, and Glidden are cheaper, and I find that their coverage is totally fine. Those will cost you $20-30. It's really just a personal preference. I'm cheap and would rather spend an extra hour painting if it will save me $25. I mostly use Behr and Glidden. Also, I'm going to let you in on a little secret. You can get ANY paint color custom mixed in ANY brand. For example, let's say that you found a Benjamin Moore color you LOVE, but you only want to pay $20/gallon. You can take the Benjamin Moore paint chip to Lowe's or Home Depot or Walmart, etc. and have them color match it in Glidden, etc. They have little machines that scan the paint chip and then BAM: same color in the brand of your choice. #4. How do I choose a color for my trim and walls? Here's quick guide to all of the paint colors we've used in our own home (on the walls) in case you're curious. I get this question more than any other, so now you can find all this info in one place! Our Living Room was painted with Glidden Smooth Stone (main color) and then Behr Sandstone Cliff (accent wall), both in flat. Our kitchen was painted in Behr Mineral in Flat. 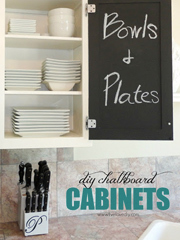 We used chalkboard paint on the interior cabinets and bar surround. You can see how we painted our grout here, our tile here, and our kitchen cabinets here. Our Home Office was painted in Behr Sandstone Cliff, Flat. The desk was painted in Behr Black Suede in gloss. 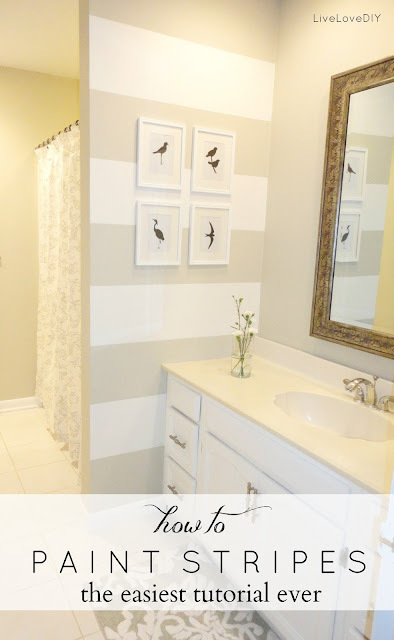 Our Guest Bathroom was painted in Behr Ocean Pearl, flat. The white stripe accent was Behr Sea Salt, flat. The vanity was painted with Behr Ultra Pure White, semi-gloss. The Guest Bedroom Design #1 was painted in Behr Gobi Desert, flat. The headboard and side tables were painted in Behr Creamy White, Satin. The Guest Bedroom Design #2 was painted in Behr Silver Drop, flat. The white stripe was Behr Ultra Pure White, flat. Guest bedroom design #3 was still in Behr Silver Drop, flat. Our Master Bedroom was painted in Glidden, but color matched to Behr Wheat Bread, Flat. The small office part of the bedroom was painted in Glidden Smooth Stone. The dresser was painted in Behr Creamy White, satin. 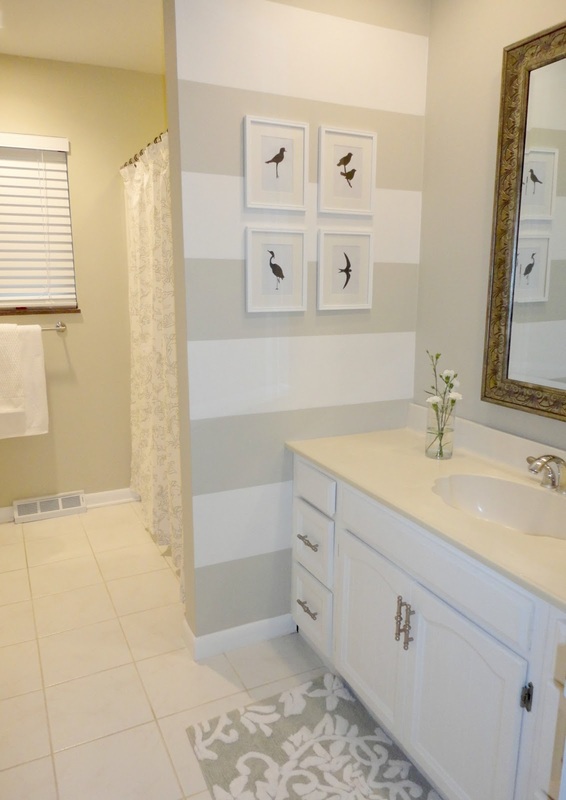 And finally, our Master Bathroom was painted in Glidden (color matched to Sherwin Williams Sea Salt), flat. All cabinetry and trim was painted in Behr Ultra Pure White in semi-gloss. So that's all for today! To see the full tutorial for how to paint trim from start to finish click here. To see my top 10 paint secrets click here. Thanks so much for stopping by! 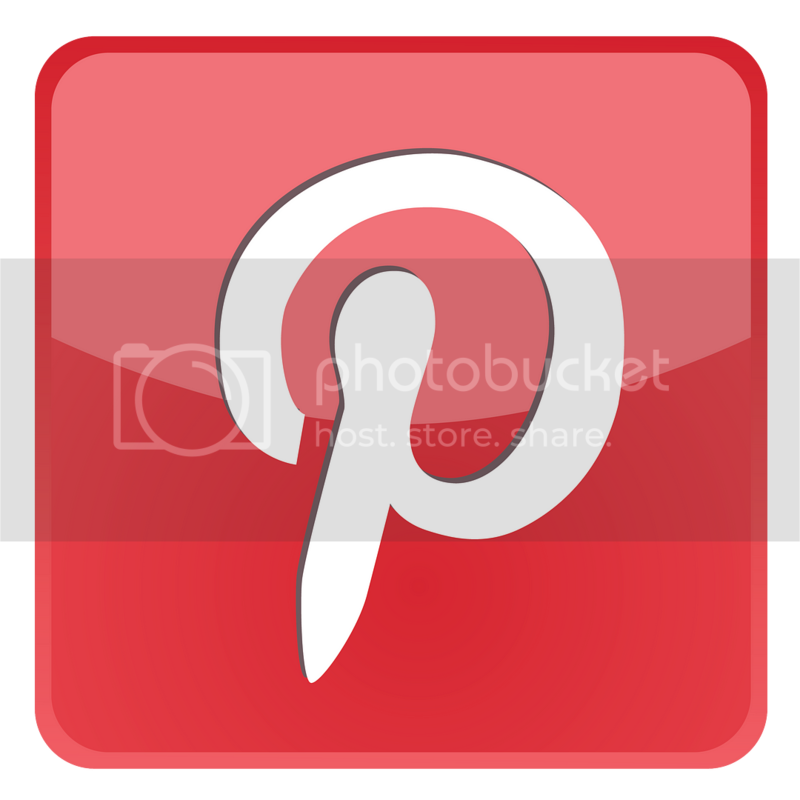 Don't forget to pin this post so you can find it when you need it! I used valspar satin in my home 3 years ago and even after washing the walls several times its holding up very well.. I had it mixed in sw relaxed khaki and saved over the entire home about $500.00 in difference per gallon cost. thanks again- sorry didnt mean to write a book as my comment. I TOTALLY agree with all the things you've mentioned about paint and painting. I've done a lot of it too and have learned a few tips here and there from experience. Rather than painting test spots of paint on your walls, buy a large foam board and paint it in the colors you're considering painting your room. Place it around the room at different times of the day and in all the different lighting conditions that room will experience. That way if you can't get to the painting right away (or you don't want to have a "paint tester" wall when company's coming!) you'll still be able to see/test the colors in your room. You can make a "test paint board" for every color you're considering. The key, as you mentioned is NOT to choose your color in the store under their lighting...which 99% of the time is florescent! Great tips! I love how clean and fresh your home is! Glad I found your site from Overflowing's link party! thanks so much for your sweet comments, Nancy! So glad you stopped by! Love your blog! And this post! I just stumbled upon your site searching Chalkboard paint! 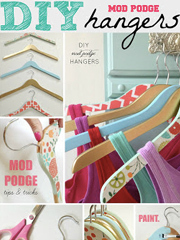 I am sooo going to paint the inside of my kitchen cabinet doors....soon! I plan to paint my whole little, bitty, house this fall. Thanks for this info! So happy I could help!!! Thanks LBDH! What color paint did you use on the outside of your kitchen cabinets. Forgive me if the color was mentioned, but I only saw that you used chalkboard paint on the inside. Thank you. I would also love to know what color you painted the outside of your kitchen cabinets. Hello! 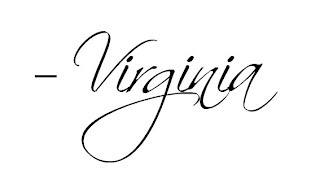 As I was reading your blog I love the look of your home - very clean and crisp. Are there any clean, crisp light blues or greens you'd recommend? I want the look but am not much of a beige/tan person. Hi! 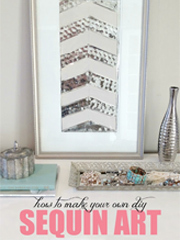 I love the tip about using similar but different colors around the house. I was wondering why you chose a flat sheen for most your walls. I was wanting to do this but fearful that it would get dirty and I thought flat/matte paint didn't clean up well- not that wash my walls often anyway-lol! Can you please comment on your thought between flat/matte and eggshell sheens. Thanks! I'm enjoying your blog! Hi! I love your blog. 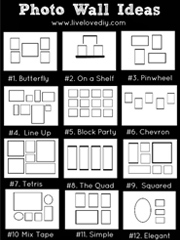 Lots of great ideas. What color are your ceilings? I am painting one of my bathrooms Valspar Sonic Sky in semi-gloss and I have no idea what color to paint the ceiling or trim for that matter. Would love to have your input. Thanks! I painted my walls a lilac/lavender color (was deep red before) and I want a trim color that will tone down the girly-ness (I'm 25). There is not a lot of natural light in my bedroom, which is also small. 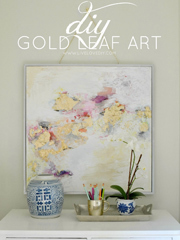 My furniture is black, my duvet is pale grey, and my art has gilded frames. What do I do?! I keep stumbling across your site! There are so many good ideas here that it pulls me in time after time. I have very dated wood that is going to go Behr Ultra Pure White this spring. I looking for just the right soft blue for the walls. I'm really excited to get going. Thank You for sharing! I am going to get a sample of Behr Sandstone Cliff tomorrow....love it so much. I love this! I was completely overwhelmed in picking out paint colors. Thank you for taking the time to share! I love the color pallet! I also like the price of Behr! Thank you so much--I loved your colors the first time I saw them. I had to comment and leave some love! That Sandstone Cliff is my favorite, and we'll be redoing the paint in our main room to that color.... and the kitchen with your favorite white trim. I need to see about what you did with your cabinets in the kitchen! What do you suggest for ceiling paint? Same as the trim? 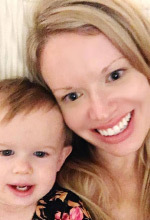 I'm obsessed with your blog!! What paint color did you choose for your trim and doors?